Barter Books : Acland, Arthur H D [ed.] 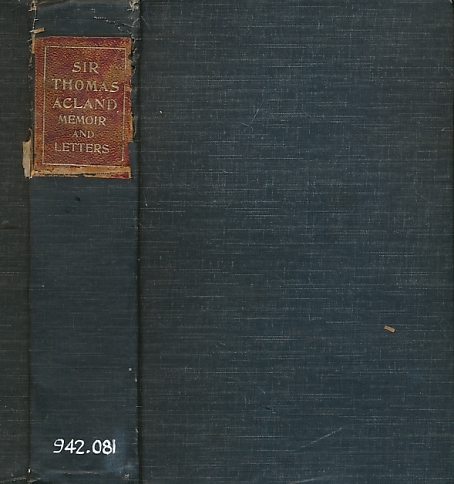 : Memoir and Letters of The Right Honourable Sir Thomas Dyke Acland. Signed copy. 16 b/w plates some tissue guarded. 220 x 150 mm (9 x 6 inches) - 409pp. Black hardback cloth cover with leather spine title. Worn condition. Ex lib. Cover headily rubbed with cracks and loss to upper spine. Content in overall good condition. Printed for private circulation only. 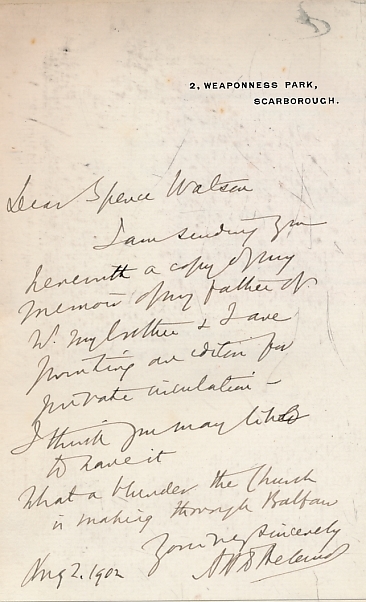 Presentation copy from author with tipped in letter to Spence Watson dated Aug 2 1902 signed by author. 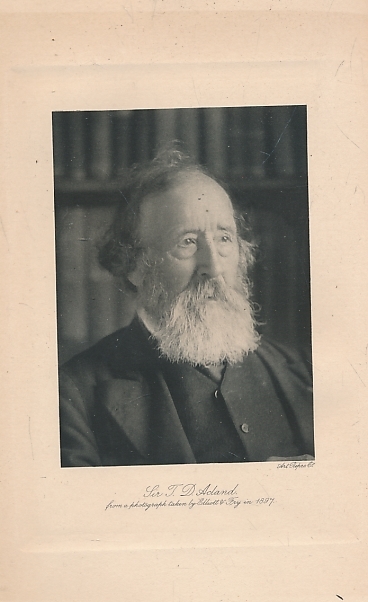 [Spence Watson was the President of the Newcastle Literary and Philosophical Society 1901-1911]. Includes facsimile letter to W E Gladstone.